Thank you for visiting–We hope you’ll consider coming even Further. When you’re finished looking around, here’s a thought: Show up. Come to the Table. Get Involved! Hope by itself seemingly suggests that it is somewhere in the future. Its definition paints a picture that it is not quite reality realized. But it is just out of reach. Although it is intangible to our eyes, Scripture says that NOW Faith IS the Substance in which we Hope. Some how, some way, Hope is Here. Now. 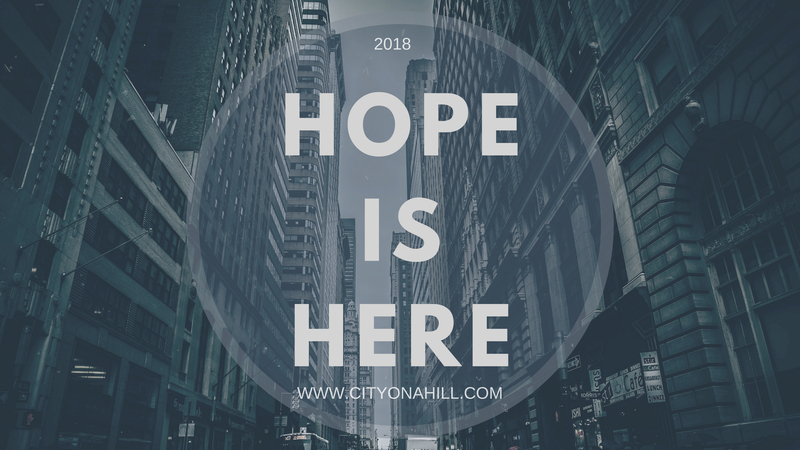 At City on a Hill, we have become Addicted to Hope. 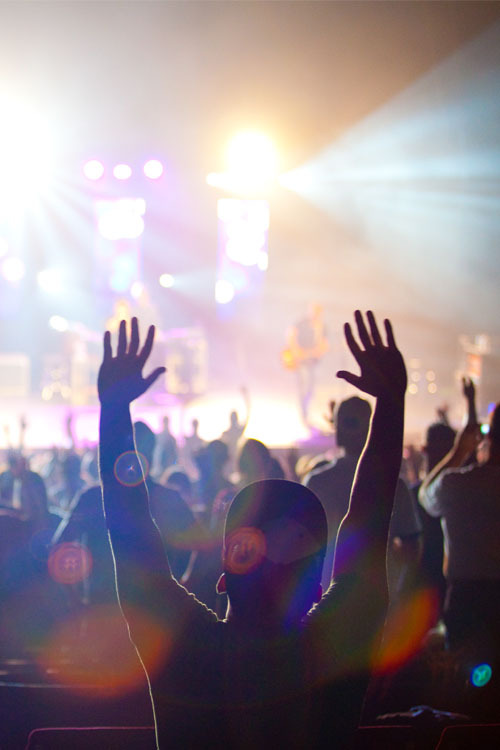 We grew up Addicted to Ourselves–but over time, through experiencing grief, seasons of humility, tears, many battle tested years learning to pray–as a church body, we have become obsessed with providing Hope to the Hopeless. Faith is an Activity. And that Activity is perceived as Hope by those who experience it. Hope looks differently to every person. Some only need a smile. an encouraging word. or an act of Kindness. Others see Hope as time spent, a meal enjoyed, or a providential coincidence or an ‘answer to prayer’. We have discovered that It’s even simpler than that—it is exercising Faith in situations that seem impossible, through much personal expense and pouring our lives out to others in an extravagant manner. It is seeing Jesus in others and made available for others, doing what He did, over and over again. That expression of Faith in-action, is received by others as Hope. Hope received is a practical solution when it creates Access. But Access to what? Access to God’s Kingdom… and everything good that flows from that relationship. In God’s presence there is a Fullness of Joy. So our motivation (by design), is becoming a creative force and being determined and resolute toward expanding greater Access to those who are seemingly without Hope. Access to Grace and Mercy, supernatural Holy Spirit gifts/training, Harp & Bowl Prayer team, and just as important, access to relational living, access to discipleship, access to a gathering place–not just for worship or to hear great music or to receive a proceeding Word– But to have Hope for Future with practical solutions: Addiction Recovery, Small Group accountability, Food assistance, Housing connections, Job Training/Placement and Internships. We Believe the Holy Spirit is the Promise of the Father, the Comforter who indwells and places every believer in the Body of Christ, provides spiritual gifts upon the church and beckons to the world to come to Christ. Since 1969, from humble beginnings and with faithful friends, our church ministry became established, with Jesus as the center of it all. He still is. Heritage House is a residential, therapeutic community–comprised of young men who are passionately committed to Recovery. Hope Over Heroin was birthed in 2014 after we began to see the largest wave of Overdoses our country had experienced in the previous 30+ years. We are discovering new ways to make a difference every day. Help City on a Hill CONTINUE to shine brightly. We Believe in the verbal inspiration and inerrancy of the Scriptures. We embrace the authority of both the Old and New Testaments as Holy Writ – and it is the basis for our operation of faith. Learn more about City on a Hill’s beliefs. ©2017 City on a Hill. All Rights Reserved.